Telstra is aiming to improve its installation and fault repair times with a massive mobilisation of 1,000 additional communications technicians over the next six months. The telco has revealed that the new field crew will consist of a mix of its own full-time employees and subcontractors provided by its workforce supply partner, ISGM, which specialises in large-scale management and operational workforce solutions. The move comes just days after the telco announced plans to lay off around 44 jobs in a bid to downsize its internal wideband design operations, and three months after it announced it would cut 326 customer service jobs amid the outsourcing of call centre capabilities to the Philippines. The drive to expand its field technician ranks, however, will result in the creation of new roles within the company, according to a Telsta spokesperson. Telstra customer service delivery executive director, Brian Harcourt, said that the push for more field technicians comes as a response, in part, to appease customers’ expectations. “We know that sometimes the experience our customers can have when they need a fault fixed or anew service installed can improve,” Harcourt said in a statement. “And we are building up our resources to do just that. “Increasing the number of CTs [communications technicians] that perform these tasks will have the dual benefit of enabling us to get through more work and freeing up our more experienced technicians to deal with more complex tasks,” he said. 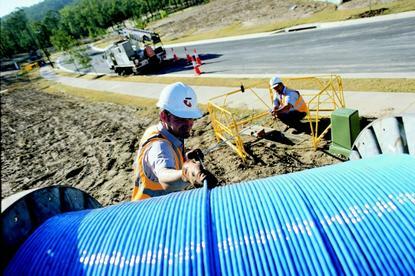 The augmentation of the company’s field workforce comes just months after the Telecommunications Industry Ombudsman (TIO) revealed figures highlighting a rise in new complaints about Telstra services for the June quarter. According to data released by the TIO, Telstra received 6.8 new complaints per 10,000 services in operation (SIO) for the three months ending June, outpacing rivals, Optus, Vodafone, and Amaysim, and beating its own figures for the previous quarter, which stood at 6.4 new complaints per 10,000 SIOs. The army of new communications technicians will complete up to 17 weeks of training, and new jobs will be created around the country. NSW and the ACT will receive the bulk of the new additions, with 503 slated for the state and territory, while Victoria and Tasmania can expect 110 new field team members. Queensland will get 151, while South Australia is receiving 94. Western Australia will see an additional 43 field operatives. “We have 600 communications technicians in training, and the first 140 have already hit the field,” Harcourt said. Telstra said that the bulk of the new communications technicians will be working in the field by Christmas, with the remaining new recruits starting work the following month.